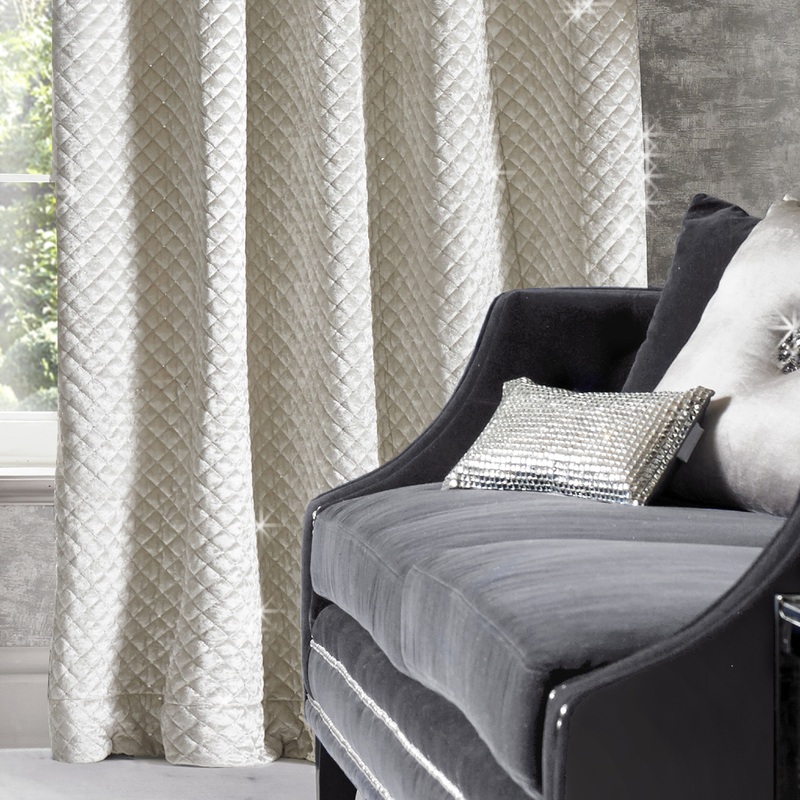 Evocative of Kylie’s glamour, these Grazia curtains will certainly make a statement in your room. These quilted velvet panels are finished with tiny sequins for that added touch of sparkle. The Grazia eyelet curtains are fully lined and ready to hang. The Grazia eyelet curtains are fully lined and ready to hang, and please see other listings for different colour options. Available colours in Grazia are Oyster, Praline and Silver. Please note these curtains come as a pair in one pack. So for example if you buy quantity '1' of 66"x72", there will be two curtains in the pack each having 66" width and 72" drop.